The Diviner 2000(®) system is a manual measuring device that allows soil moisture measurements to be taken in the field, then downloaded in the office. 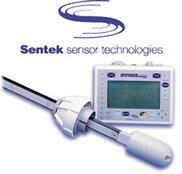 The system contains a probe and data logger. Results can be graphed to predict draw-down trends for determining leaching and predicting irrigation needs. The EnviroSCAN(®) and EnviroSMART(®)) systems provide continuous measurement and the flexibility of accessing the data on a laptop in the field. The EnviroSCAN(®) uses a telemetry communication system. The EasyAG(®) Probe, a multisensor system, has a more stream-lined probe and multiple interface options. It features fast and easy installation and removal. JNM also offers IrriMAX and TriSCAN products.